Today we will teach you where to buy some french cosmeceuticals and skin care products in Paris. As you have arrived in magnificent Paris, a shopping paradise with so much to offer. “Where to shop cosmeceuticals and skin care products in Paris?”, “Which is the cheapest drugstore in Paris?” I believe these are the topics of great concern to everyone. But is that really the case? Today, we seek truth from facts, comparing the duty-free shop, cosmetics chain stores and drugstore in Paris, which is more cost-effective? Recommending several popular drustores, cosmetics stores and duty-free shops in Paris. And analyzes their advantages and disadvantages objectively, recommend you how to purchase cosmeceuticals and skin care products in Paris is the most affordable and convenient. Teaches you to be an econnoisseur and a delicate piggy girl. Drugstore is a good place to buy skin care products in Paris. First, because of its professionalism and variety. As a store specializing in selling French cosmeceuticals and skin care products in Paris, although the cosmeceutical brands sold in each store are slightly different, the variety of skin care and cosmeceuticals is complete in general. For example, Filorga, which is famous for its hyaluronic acid and NCTF therapy; La Roche-Posay, which is known for its acne treatment for oily skin; Caudalie, renowned for its antioxidant beauty toner, can be found in almost every drugstore. Second, for their sufficient supply, the price is relatively low. Drugstores, especially large-scale cosmeceuticals stores, have an adequate supply. If you want to stock up, here is a good choice. And generally speaking, the price of the drugstore is still attractive, with the tax refund, it is a lot more cost-effective than buying in your country. But in addition to cosmeceuticals, the drugstore is lack of enormous variety of products. There are no high-end skin care products, no cosmetics, no perfumes nor other souvenirs to choose and purchase. So they cannot offer their customers one-stop shopping. 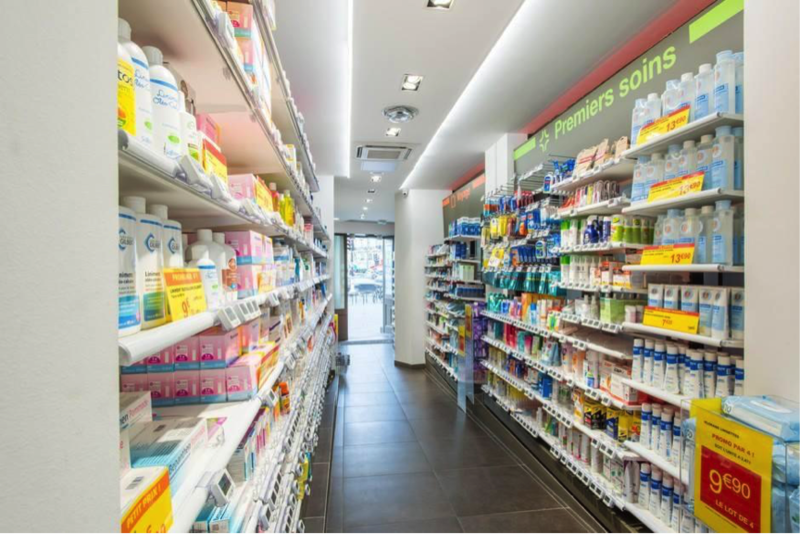 When it comes to french pharmacy skin care products in Paris, I would like to recommend these 3 most popular pharmacies: Citypharma, Pharmacie du R.E.R and Pharmacie de la Place de la République. Citypharma is one of the lowest costs and most complete brands and french pharmacy skin care products in Paris and is a priority for many Parisians and personal buyers to go on a shopping spree. For this reason, there is overcrowded all year round, and there are many people who queue up to pay. It doesn’t open on Sundays. If you want to buy some french cosmeceuticals, keep an eye on its opening hours and plan your visit accordingly. When you have five bags in each hand after a shopping trip, it is really terrible to juggle to find a change for the bus. 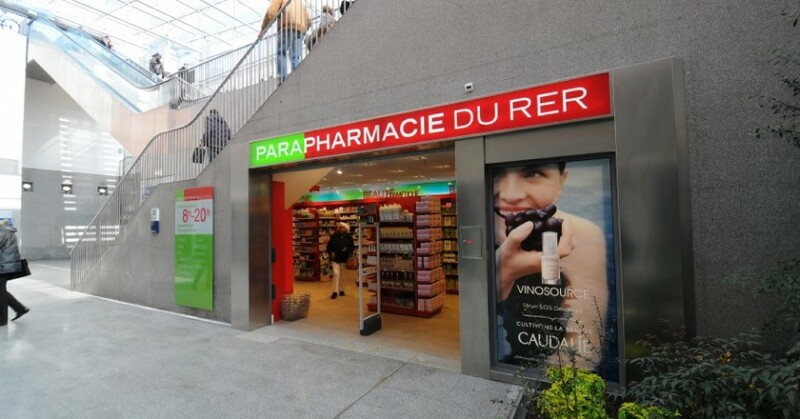 This drugstore is located in the RER station, no need to get out of the station. You can go directly to the train after sweeping the goods, you don’t have to kill yourself catching the bus. While the drugstore isn’t always the cheapest in Paris, it often offers the second item with a 25% discount on Tuesdays and Saturdays. Although everyone feels that Paris is so jam-packed full of romantic things, the business hours in this country are also impressive, really few. Many shops open for a shorter time on Saturdays and are closed on Sundays. In the meanwhile, they close early on weekdays. In order to facilitate tourists to flexibly arrange the time and buy French cosmeceuticals at any time. Here, we recommend this drugstore that is open 24 hours a day. Everyone can shop anytime you want. Although the Paris drugstore is a nice place to shop, keep in mind that a lot of them in Paris with varying prices, and there are two types of cosmeceuticals store need to notice: first, the overall price of the drugstore is relatively high. Especially the pharmacies near the hot spots and some small cosmeceuticals stores, usually the overall price will be higher than others. The second is that only one or two brands in the store with a slightly lower price, while the price of other brands are above the market price. Therefore, when you go into a cosmeceutical store, do not be dazzled by the full range of pharmacy skin care products and buy blindly. In addition, as a visitor to the EU who is returning home or going on to another non-EU country, you may be eligible to buy goods free of VAT in many drugstores. But there is a threshold of EUR 175 for the total purchase. It means that normally, tourists must spend more than 175 euros in the store to reach the threshold and claim a refund. For many customers, the purchase of pharmacy skin care products may not be able to reach this amount. Pros: Easily spend beyond the 175 euros tax rebate barrier, often can get the discount on the products that you like. Cons: Product range is less than department stores. 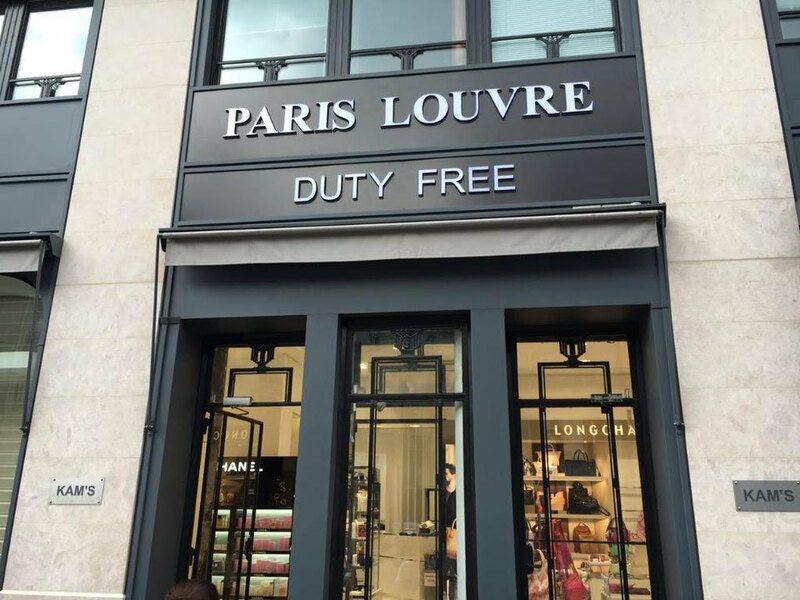 If you want to buy cosmeceuticals, skin care products, perfumes, make-up, watches and other products at one time, we sincerely propose choosing duty-free shops in Paris, including Paris Louvre KAMS duty-free shops, etc. 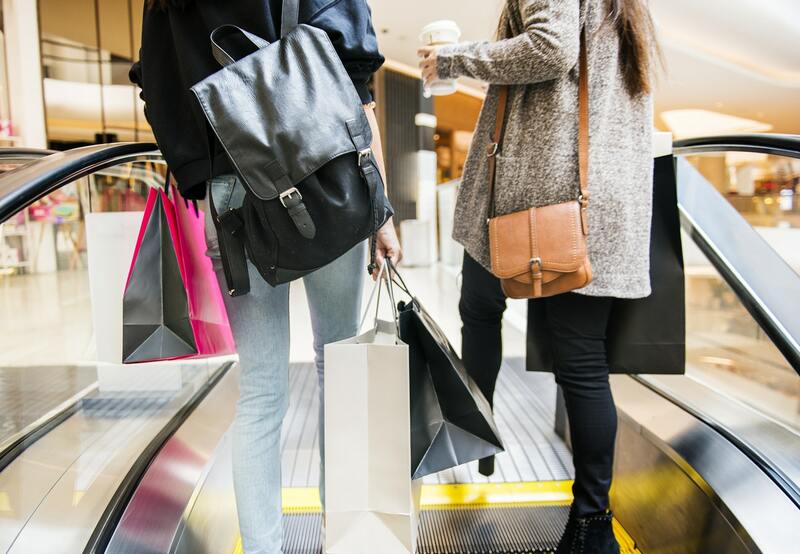 Especially for tourists, most of them prefer to shop nearby after visiting the tourist attractions, and they don’t need to squeeze on to the Tube to get around the city. Most of the duty-free shops in Paris are located near scenic spots. Besides cosmeceuticals and french skin care products and makeup, you can also buy Gucci, Mido, Tissot and other Swiss watches, Longchamp, Samsonite and other luggage leather products in duty-free stores. Compared with the Shopping Mall like Galeries Lafayette and Exclusive Shops, the same products can be sold at the same price as the brand’s official price in the duty-free shop, plus the exclusive discount and the tax refund, you can get the same goods at more affordable prices in a duty-free shop. Paris Louvre KAMS duty-free shop is located on the central opera avenue in Paris, you can visit Opera, Louvre and Jardin des Tuileries in a five-minute walk. The staffs are friendly and provide you with professional sales advice. Paris Louvre offers shopping service in different languages (French, English, Chinese, Spanish, Russian, Japanese and Thai). Compared to shopping malls, here is less crowded and you can enjoy your time and the services. To buy skin care products in Paris, we are given to understand that only this duty-free shop is making a monthly special offer. Every month, Paris Louvre KAMS duty-free shop selects some popular items and brands, sells them at the lowest price in Paris. Among them are the chic items like Filorga Meso Mask, the Spray of La Roche-Posay and other French skin care products. 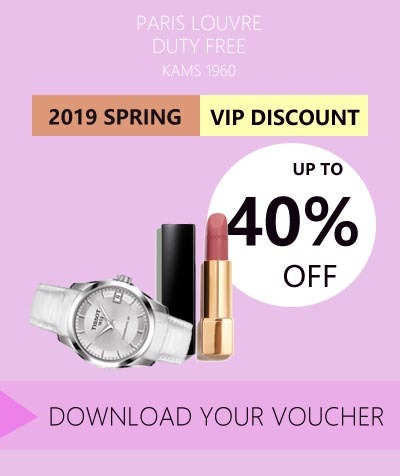 Get the most popular items at the lowest price, which is the current exclusive preferential policy of KAMS duty-free shop. TIPS: To enjoy the extra discount, remember to search their website “Paris Louvre KAMS duty-free” and enter their blog. Or you just click on this page: https://paris-louvre.com/en/voucher-en/ and download the voucher to get the latest discount coupons. Discounts + immediate tax refund, you can enjoy more than 32% off for skin care, cosmeceuticals, watches, jewellery, etc. You can enjoy 20% off in Paris Louvre Kam’s Duty-Free! Never forget to ask your 12% immediate tax refund, if you come from a country outside UE! Get this voucher and enjoy the special offer in Paris Louvre Duty-Free KAM'S. 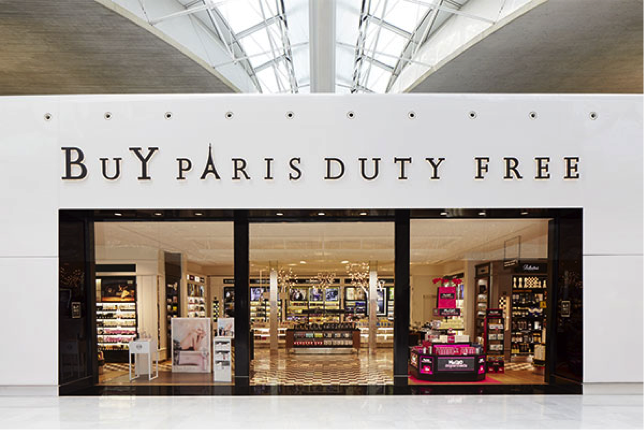 Buy Paris duty-free is located in the airport and is designed for travellers to shop before departure in Paris. One last chance for crazy shopping before boarding. Shopping here not only reduces the burden and annoyance of luggage, but also can find the limited edition sets for skin care products, perfumes and French specialities such as red wine, chocolate which is a great choice as a gift for family and friends. – different terminal times are slightly different, most of them from 5:30 to 21:45 each day. Duty-free shops are always considered unexpectedly expensive and tourists being taken advantage of. If you compare the original price alone, that indeed is true that in many duty-free shops will a few euros more than in regular drugstores. But actually, there are still many personal buyer and tourists buying skin care products from the duty-free shop in Paris. Why? Because those who understand the market know that they can enjoy tax-free price in the duty-free shop. Normally you will get a 12% tax refund on the spot. And usually, the duty-free shop offers a significant discount to individual tourists, which is basically not available in drugstores. Extra discounts like 20% off plus tax rebates, the actual cost in a duty-free shop could definitely be lower than in cosmeceuticals stores. Pros: Large product scale and variety, the latest items, free makeup service and advice. Cons: Cosmeceuticals is not available to shop. When talking about buying skin care products in Paris, we have to mention the three most well-known cosmetics chain stores in France: Sephora, Marionnaud and Nocibe. These retail stores often offer a full range of skincare brands and products. Especially the latest products of the luxury brand are more likely to be found here and enjoy the tax refund service. In general, their price is not very attractive. However, you always get lots of samples, or by chance, you will have a discount. Sephora is a multinational chain of skin care and beauty stores founded in Paris in 1969. It features a variety of skin care products more than 100 brands along with its own label products. 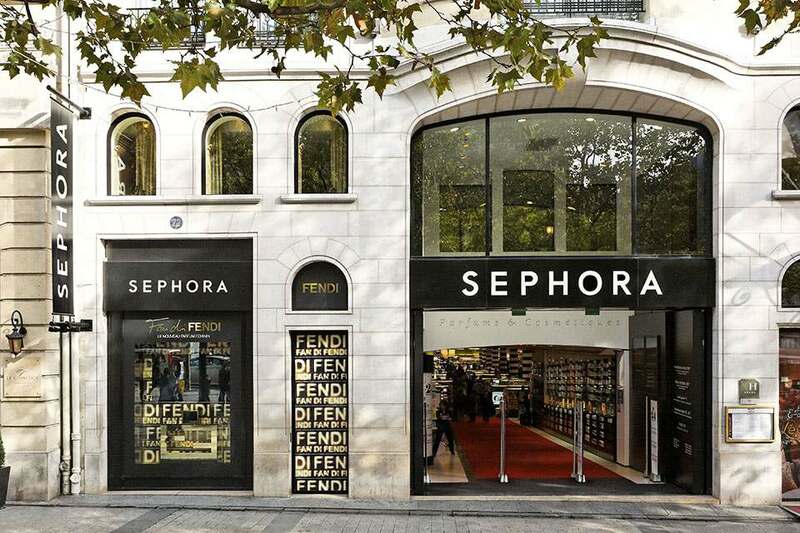 The Sephora Champs-Élysées store is the largest in Paris. It offers a wide range of options, and has been a beloved shopping place since it opened in 1995. The store sells more than 15,000 products under 300 brands and offers exclusive services, such as a “beauty bar” service for customers. 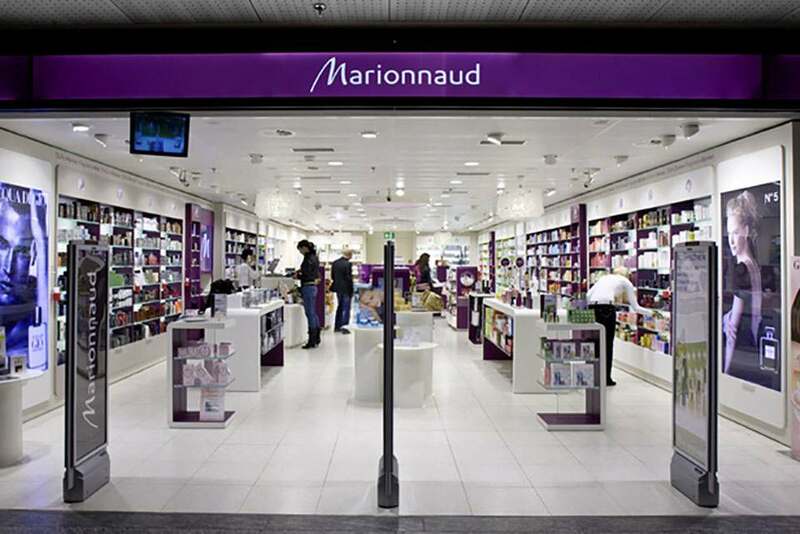 Marionnaud is the third largest perfume and cosmetics chain store in Europe. Marionnaud has always emphasized that it is a perfume shop because its founder, Bernard Marionnaud, started out with perfume. Its brand, category and update of skin care products are limited than Sephora. But its cost contains obvious superiority, which is a little lower than other chain stories. And there are frequent promotion and sales such as 25% discount for the second. Conclusion: There are a wide variety of products in the chain cosmetics store in Paris, you can buy a range of brand skin care products, cosmetics, perfumes, etc., and also enjoy tax refund services. But the drawback is that no pharmacy skin care products, the price is less competitive. For instant, the price of Sephora is originally higher than the market price. There is no discount for general visitors without a membership card or a new membership card. Though the price is slightly more expensive in the duty-free shop than in Pharmacie. But if you learn to use the extra discounts and pay sustained attention to the promotion offered by duty-free shops. It’s also likely to get the best deal on french cosmeceuticals and skin care products in Paris. Moreover, here I recommend a comparison website, you can also go to above that to have a look before buying. Before buying skin care products in Paris, you can check the price through this website. You can find the cosmeceuticals and skin care products you want to buy in Paris, including offline stores and e-commerce. In this way, you can find the most convenient purchase method and the most satisfying price.